Home > Our School > News > General > Autism Awareness Week … April 1-5! Every April, Autism Speaks and Autism Speaks Canada kick off World Autism Month. 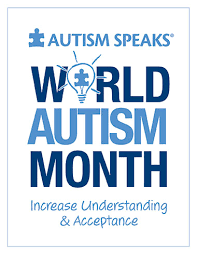 On Monday, April 1st, 2019, Holy Name CES, joined by the international community, hundreds of thousands of landmarks, buildings, homes and communities around the world, will up in light blue in recognition of people living with autism. Autism-friendly events and educational activities take place during this first week of April to increase understanding and acceptance and foster school wide support. Previous Story Previous post: “WE ARE HOLY NAME” School Song!